The charming Bhumiyama Beach Resort is located on Lonely Beach of the popular island of Koh Chang. Lonely Beach is a favorite spot for seasoned travelers because it is one of the few places on the island that still retains its original, natural charm without having succumbed to over-development. The cozy resort offers 45 rooms surrounded by beautiful waters and untouched jungle, bringing guests a step closer to nature. Whether you want to relax on the beach or take a dip in the onsite swimming pool, you’ll be enchanted by the magic of Bhumiyama Beach Resort. 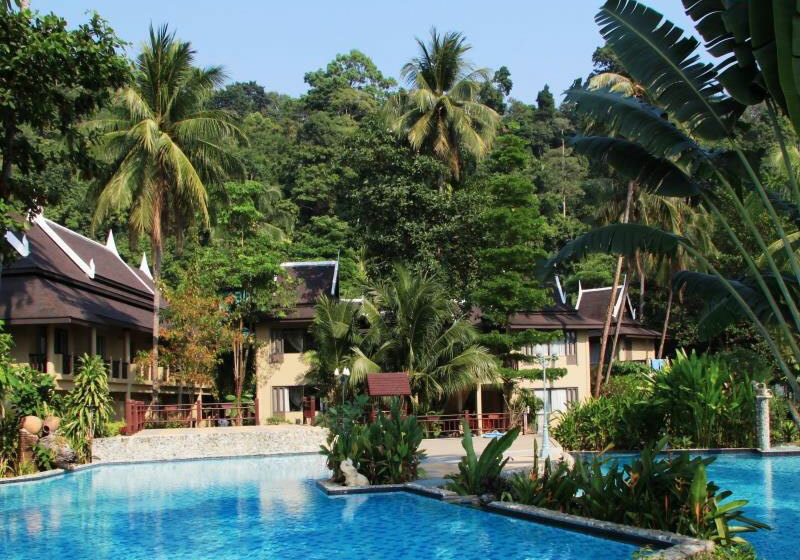 Short Description: The charming Bhumiyama Beach Resort is located on Lonely Beach of the popular island of Koh Chang. Lonely Beach is a favorite spot for seasoned travelers because it is one of the few places on the island that still retains its original, natural charm without having succumbed to over-development.